Mark the date! 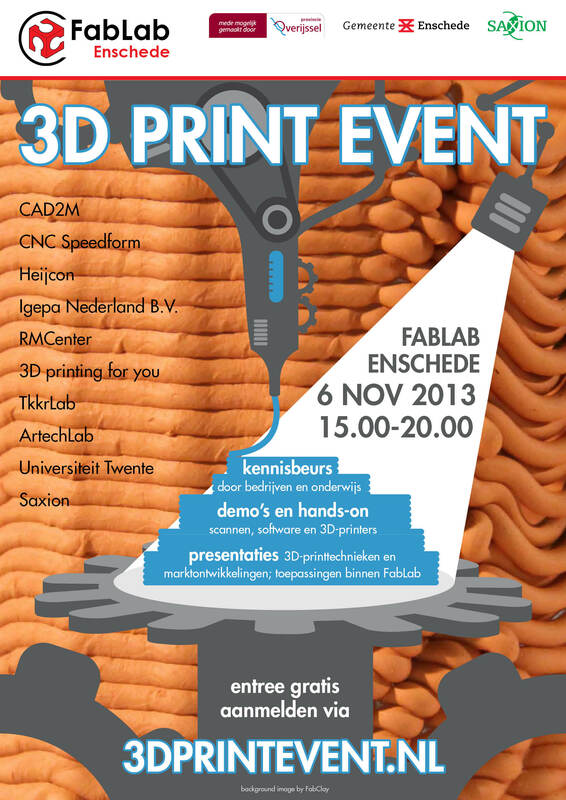 Wednesday November 6th the ArTechLab participates in the 3D print event at Fablab Enschede showing our students 3d printing work. This fourth edition of the 3d print will also show you the newest 3d print techniques, software and materials. It’s an hands-on event, so you can experiment yourself and discover the trends of 3d printing. The event is for free. Sign up at 3dprintevent.nl. Posted in news and infoTagged 3d print eventBookmark the permalink.